Join our feathered, furry and scaly cast along with their trainers as they amaze you with unique behaviors and training styles. You will meet a variety of birds, cats, dogs and reptiles. The majority of the Feather and Friend’s cast were adopted from animal shelters or came from other homes! 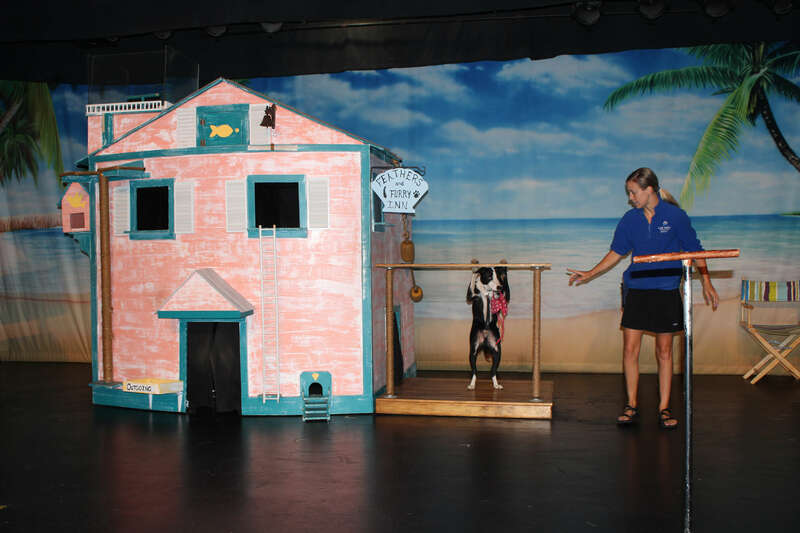 Guests are given several opportunities to join the cast on stage to interact with the animals. Learn how the different species are trained and get some ideas for training your pets at home! Watch a bird fly on a wind machine live on stage, like they do in the movies! Laugh, learn and fall in love with these talented critters and their trainers.